Forrás: Buzzfeed. Szerző: Michelle Khare, Nyla Wissa. Neha Assar is a respected makeup artist and hair stylist. 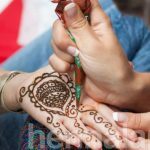 She has been doing henna tattoos for 20 years and is known for her improvised styles. She’s pretty much a goddess. 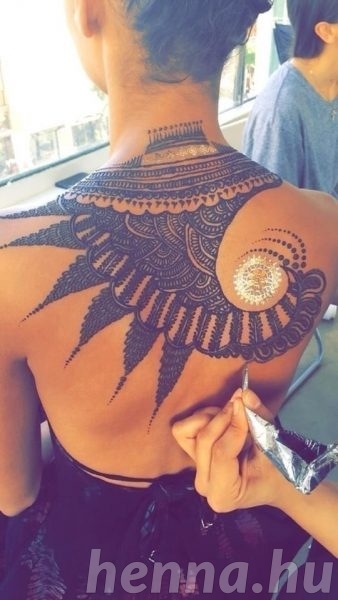 Henna is a plant-based temporary tattoo that has been practiced for over 5,000 years. It’s used for celebrations, weddings, festivals, and everyday style. And that was just ONE ARM. And don’t forget that this was SEVEN HOURS of talent somehow condensed to 95 seconds. And the final results are absolutely stunning. Literal hair flips, all damn day.